Dr John Munro is Professor of Educational Psychology and Exceptional Learning at The Australian Catholic University, Melbourne campus. He is a trained primary and secondary teacher and a registered psychologist. His research interests, teaching and publications are in literacy learning and learning difficulties, maths learning disabilities, gifted learning, learning internationally, professional learning and school improvement. He is a consultant to several Victorian and national school improvement projects. He is a Life Member of Learning Disabilities Australia and an Honorary Fellow of the Australian Council for Educational Leaders. He was president of the Australian Remedial Education Association and chair of the College of Educational and Developmental Psychologists. He wrote the VELS English syllabus, the Language Disorders Program and the support materials for dyslexia and other learning difficulties for DEECD. He has worked in the International Baccalaureate programme, for the Extended Essay and the Theory of Knowledge and was an international consultant to the Primary Years Program. 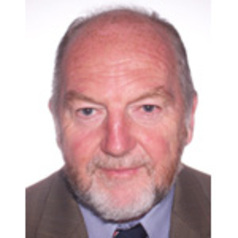 He has written several recent books including Teaching oral language and co-edited Powerful Learning – A strategy for system reform. His focus is on strategies for removing barriers in classrooms that prevent students from making optimal progress as learners.